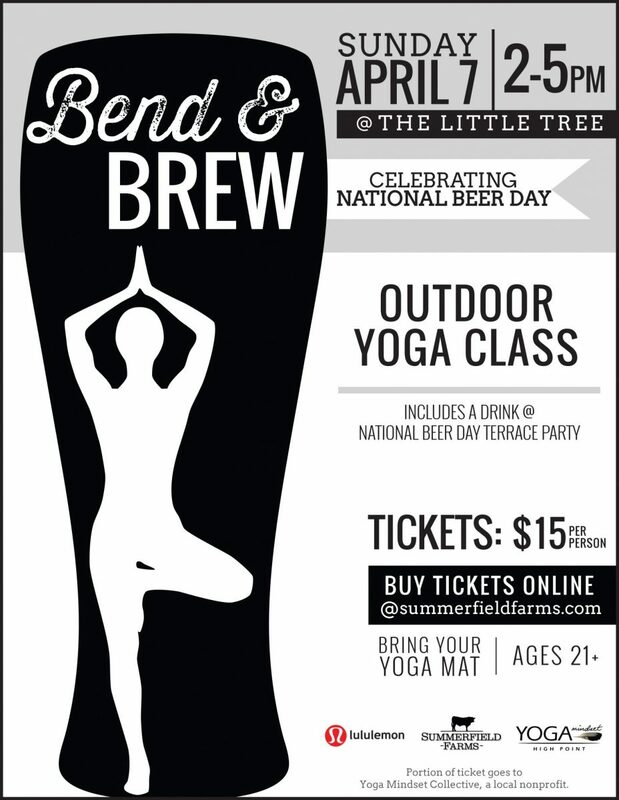 Bend, stretch and move at an outdoor yoga class on the farm then grab a brew on National Beer Day at Summerfield Farms! Kelle with Yoga Mindset will be leading an outdoor yoga class for all levels under the shade of The Little Tree. After class, we’ll all head to the rooftop terrace of The Barn for a cold brew or other beverage which is included in your ticket. The “after party” on the terrace will be open to anyone so if you have friends that don’t do yoga, then invite them to meet you there. The “after party” on The Terrace will feature a live band and hopefully a food truck! Redeem your drink ticket at the silo bar. Additional beverages and snacks are available for purchase. EACH ATTENDEE REQUIRES A TICKET. A PORTION OF EACH TICKET BENEFITS THE YOGA MINDSET COLLECTIVE, A LOCAL NON-PROFIT ORGANIZATION. LULULEMON BONUS: there will be a fun Lululemon bonus at some point during the event! Don’t forget your yoga mat & water! The class will take place outdoors on grass with unforgettable views.